One of the longest running caravan and motorhome manufacturers in the UK celebrates 70 years of manufacturing, we take a look at this family owned business. 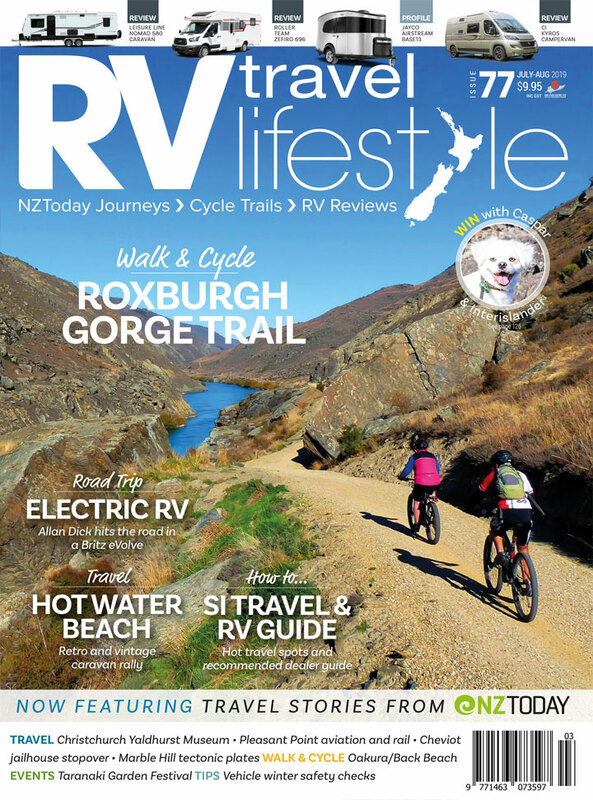 In the last issue (RV72) we reviewed the latest arrival at Bailey New Zealand, the first of the 2018 Bailey Autograph motorhome range for this country. The second model, the Bailey Advance, is arriving at dealers around the country thru November and December this year, giving a range of floor plans in both models from two-berth to six-berth models with fixed beds, ceiling beds and twin single bed options. This latest Advance range is at an entry-level price point as opposed to the higher spec’d Autograph models already landed. The history of the Bailey brand goes back over 70 years now, with Martin Bailey building the first caravan in his garage in South Bristol in 1947 and later selling it at the local market for £200. A year later, in 1948, FG Bailey Ltd was formed and the growth of the caravan manufacturing business went through the roof, with sales driven partly by holiday makers who loved the compact accommodation on wheels with features like fully sprung upholstery, carpet, and a two-burner gas cooker. They were also a great solution as temporary accommodation after the war when housing was short. By 1960 the workforce numbered up to 40 people as production increased to around 100 caravans a year, and at that point the company moved to a larger manufacturing site in Liberty Lane, Bristol, where they are still based today. Through the 1960s they began exporting to Europe, building to around 40 per cent of production by the 1970s. During this period the range expanded to include a budget- or entry-level caravan, and a middle-price-range model, right up to a luxury model that had double glazing, fitted heaters, a refrigerator and lightweight chassis – the latest technology for its time. In 1977 the Howard family purchased the business and the name changed to Bailey Caravans Ltd. The Howard family still own the business today. Moving from solely caravan production to motorhome production started in 2011 with the first motorhome taking the market by storm and winning awards. In 2010 Bailey UK established an authorised agent in Australia and started exporting there. I don’t think it took them long to realise that the Aussies use caravans in a vastly different way to UK and European users, and that the terrain they use them in couldn’t be harsher in comparison. Responding quickly to these realities, by 2014 Bailey (UK) had set up a manufacturing plant in Victoria turning out a product that was still built with parts and designs from the UK, but using construction methods and chassis more suited to the rugged Australian terrain. In 2012 Mike Driver from Bailey New Zealand imported the first Bailey Unicorn caravans into the New Zealand market as the official distributor for Bailey UK, and Kiwis took to the lightweight caravans – with separate bathrooms and bedrooms, and quality features throughout – like the proverbial ducks to water. This year has seen the first importation of the Bailey Autograph motorhome range into the country, and with its habitation entry door being on our kerb-side (the left side of the vehicle), it has proved popular here, as has the variety of models and weights on offer. When the Aussie-built Rangefinder caravan range started being produced it wasn’t rocket science for Mike to realise that, given our wide range of consumers using caravans and motorhomes in a wide variety of ways, this new product actually fitted a different market niche to the popular UK-built and -styled products. TrailLite in Pukekohe got the first models on the yard – just prior to a Covi motorhome show, from memory. As it happens, close friends of ours had sold their house in Thames and they actually purchased that first model as their live-in travelling option for the new life they had planned. Today it is parked up on a hillside near Urenui as they have settled into a new property there. Other neighbours here in Martinborough are on to their second caravan purchase in three years, and this model too is a Bailey Rangefinder. So when you see the Bailey name on a vehicle in front of you, or in one of the dealers around the country – TrailLite (Pukekohe and Christchurch), RV Mega (Mt Maunganui), DeLuxe Group (Blenheim) and Pykes Auto in Timaru – you now know you are looking at a product made by a company with a 70-year history in the business.